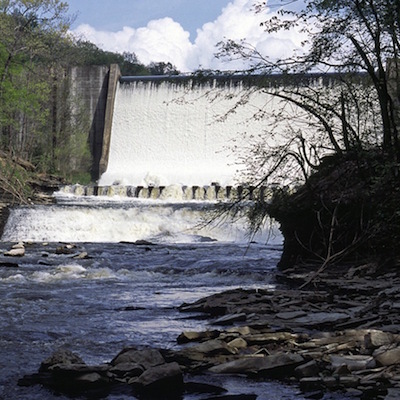 The Gorge Dam is the single greatest unresolved water quality problem on the Cuyahoga River. It was built in 1914 to produce hydroelectric power and to provide cooling water for a coal-fired power plant. Hydro operations ceased in 1958. The coal plant was closed in 1991. The last of the power plant was dismantled in 2009. Now, only the dam, a 400-foot wide, 60-feet tall obsolete hunk of concrete, remains. It stands, like a sentinel of past, obscuring the Cuyahoga’s promise and obstructing the economic destiny of River’s Gorge area in the City of Cuyahoga Falls. Here, a little over half-way along its crooked course to Lake Erie, the river falls over 200 feet in less than two miles. Prior to the industrialization of the gorge and the spoiling of water quality, High Bridge Glens Park took advantage of this astonishing geology. The park drew visitors from across the country and was the single largest tourist attraction in Northeast Ohio. We can recapture that status. We need only to remove the dam and restore the breath-taking natural landscape of the River’s falls and gorges. It is a daunting task to be sure. But we are fully up to it. The team is assembled. The studies have begun. The cost is known. At a whopping $70 million, it’s a lot to get your mind around. But consider, we spend $70 million on many bridges. This is the Cuyahoga’s bridge to the future. A restored Cuyahoga River Gorge will be an economic generator for all of Northeast Ohio for generations to come. It will be a central hub of water and land based recreation for the region. It will proudly stand as a testament to the foresight and determination of the people of the watershed. 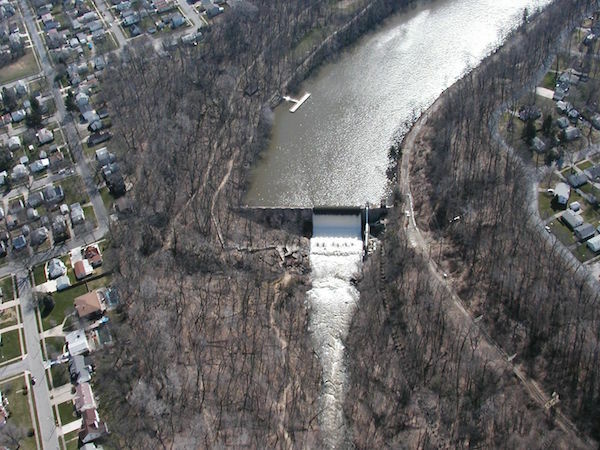 And it will be a great victory for the Cuyahoga River and its water quality.